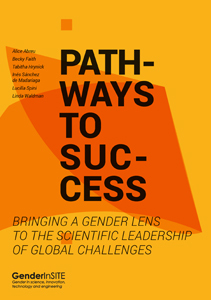 Firstly, improving the level of participation and leadership of women in science, technology and innovation, and supporting structural changes in organizations to achieve this aim. 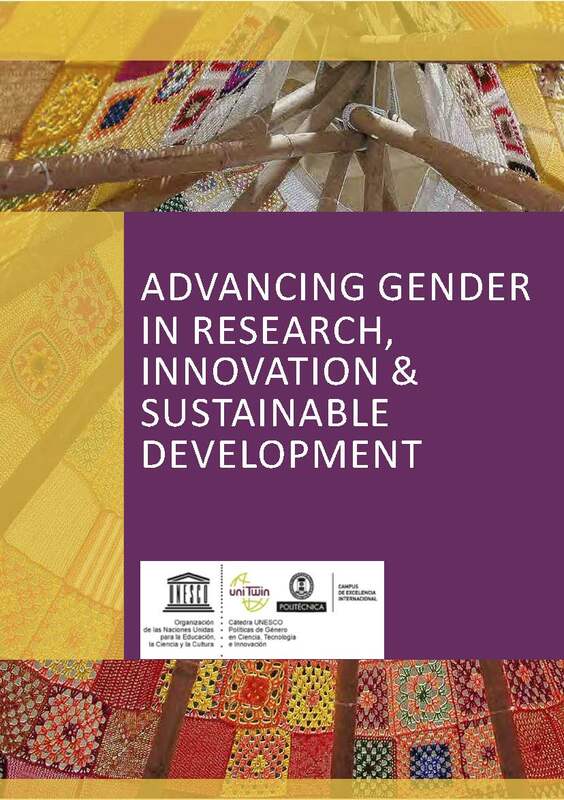 Secondly, advancing the integration of gender perspectives in research, technology and innovation, and in higher education curricula in technological areas (engineering, planning, and architecture). 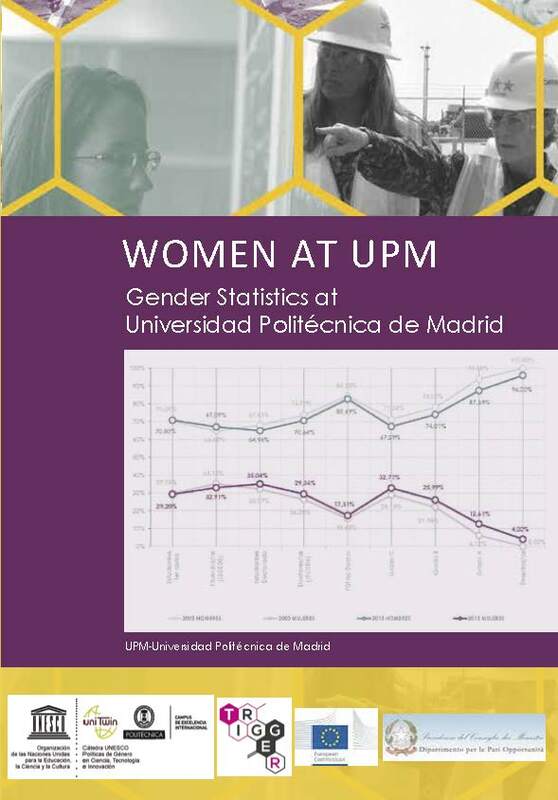 The UNESCO Chair on Gender Equality Policies in Science, Technology and Innovation at UPM is the only of the 10+ UNESCO Chairs working on gender issues that is located within a technological university. We collaborate with universities, research institutions, intergovernmental and multilateral organizations, public administrations, non profit institutions, and private companies, in introducing gender perspectives in their fields of action and equality policies in their institutional operations. We promote an integrated system of research, training and documentation on gender equality policies in science, technology and innovation. We facilitate collaboration between high-level, internationally-recognized researcher and teaching staff of the University and other institutions in Spain, as well as elsewhere in Europe and North America, in Latin America and the Caribbean, in Asia and the Pacific, as well as other regions of the World. We cooperate closely with UNESCO, as well as with UNITWIN-UNESCO Chairs Programme. We promote, develop, execute and provide support for gender analysis in research, development and innovation, intregrating sophisticated methods for gender analysis. We promote the sharing of knowledge among high-level, internationally-recognized research staff around the world, and with public and private organizations, engaging stakeholders and supporting advocacy for policy change. We provide support at all stages of the process of integrating gender perspectives in curricula at undergraduate, postgraduate and lifelong learning programmes, including courses addressed to decision-makers. We provide strategic, customized expert advice to public and private organizations for gender mainstreaming their policies, plans, programs and projects, maximizing impact and ensuring effective implementation. Everyday lives of women and men are very different, and this impacts on how they experience the city on a daily basis. Urban planning is not gender neutral, and often times it tends to strengthen inequalities that could have significant impacts on health, wellbeing, access to services and life chances. 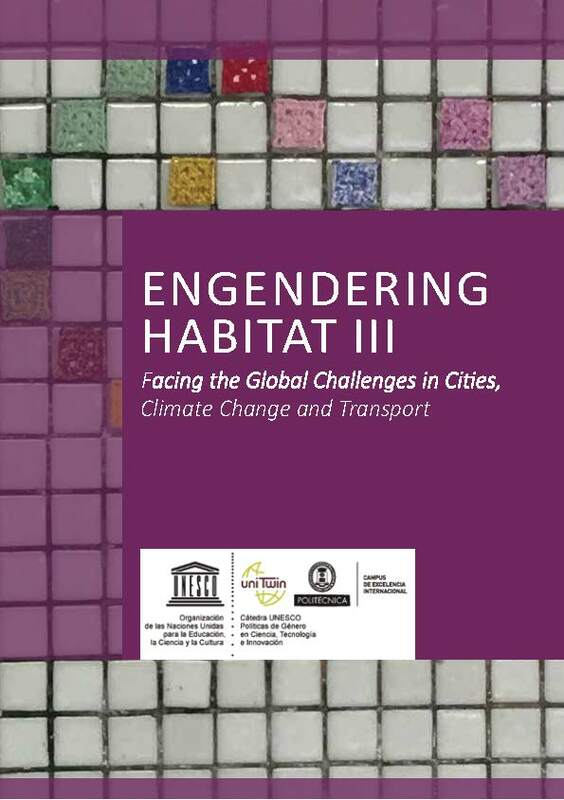 Gender is relevant to all aspects of city planning, including land-use, mobility, urban services and facilities, urban safety and security, housing, employment locations, public space, and participatory processes at al scales and stages of the process. Gender-sensitive urban planning means better urban areas for all. It has been recognized as an important crosscutting issue in international agendas such as the New Urban Agenda and Agenda 2030 for Sustainable Development. Gender dimensions in built environments are relevant at all scales, from land use planning at the urban and regional levels to individual buildings and public spaces. Gender in architecture deals with both theoretical and practicing approaches in topics including accessibility, spatial psychology, ergonomics, urban safety, and special implication of gender-based social roles, among others. 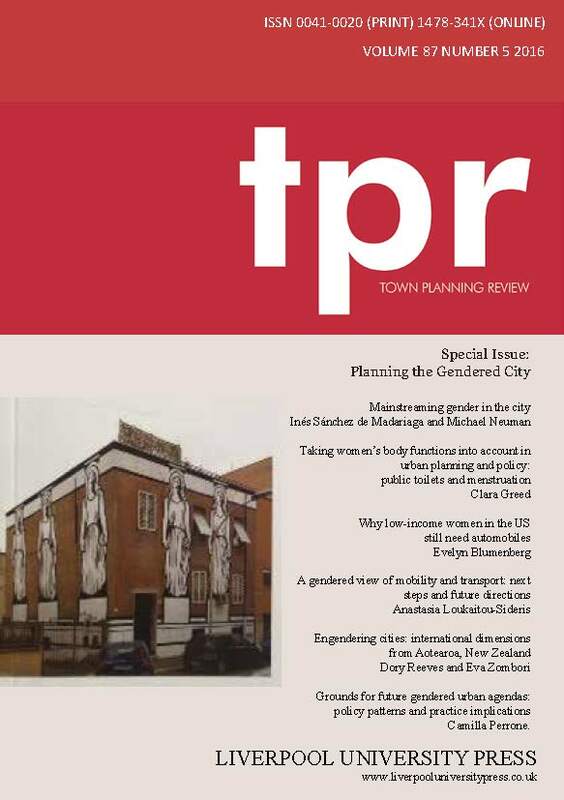 Gender sensitive architecture is especially relevant for public buildings and facility planning and design, but also in private working environments and residential areas. Access to housing is an important issue in ensuring a decent quality of life for everyone. Gender is a key component to ensure physical and economic accessibility to housing. New life styles, demographic changes, increasingly diverse life cycles and household structures require that gender is considered in housing design, planning and policy. 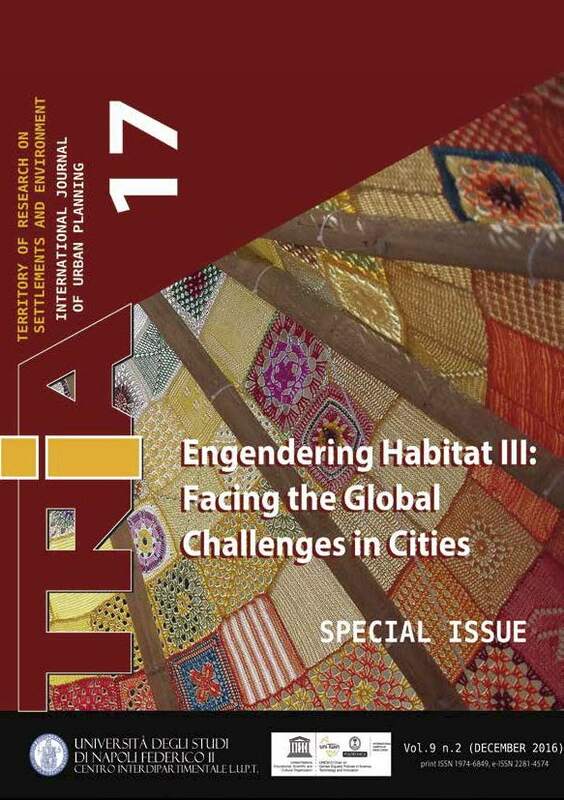 The inclusion of gender in housing leads to a review of theoretical approaches, new practical solutions and innovative policy making across scales. Gender in housing also intersects with other urban issues including mobility and infrastructure, ICT, employment planning. It also can provide support in addressing current urban challenges such as gentrification, ageing, informal settlements and energy consumption. In addition to other intersecting factors, gender is one of the most relevant variables in transport and mobility. Women and men have persistent different transportation needs, travel behaviours and levels of access to services and infrastructure. On the other hand, the underrepresentation of women in the transportation sector, especially in top positions, has an impact of how transport systems are understood and designed. Therefore, including gender perspectives in mobility policies and transport infrastructure planning contributes to urban accessibility, environmental sustainability, personal wellbeing and equal opportunities for all. Gender-based differences in everyday life between men and women entail different challenges and needs towards policy-making and service provision. Gender expertise in service and policy design contributes to find better solutions to a wider scope of population, particularly ensuring that the specific needs of women and other underrepresented social groups are included in the process. The inclusion of gender in service and policy design has different approaches from specific training, to expert advice, development of new instruments, technical consultancy, participatory and public engagement processes, dissemination campaigns and communication strategies. Gender has been a very central variable in international cooperation for decades now. From initial approaches based on women’s needs, to the wider recognition of gender aspects in the 1990s, to the current prominent integration of gender in international agendas for sustainable development, gender is now a priority for development agencies, funding organizations and intergovernmental bodies. Gender in international cooperation projects contributes to more successful projects, ensuring a better priority-setting, a wider participation and involvement of stakeholders and more accessibility to all resulting benefits. Women graduate with excellent qualifications and they make up more than half of university graduates in many countries. However, they are scarcely represented in STEM fields and also at the higher levels in all other research and professional areas. This is a loss of talent and efficiency in research and innovation, and it is also an unfair situation which challenges equal opportunities and international legislation. 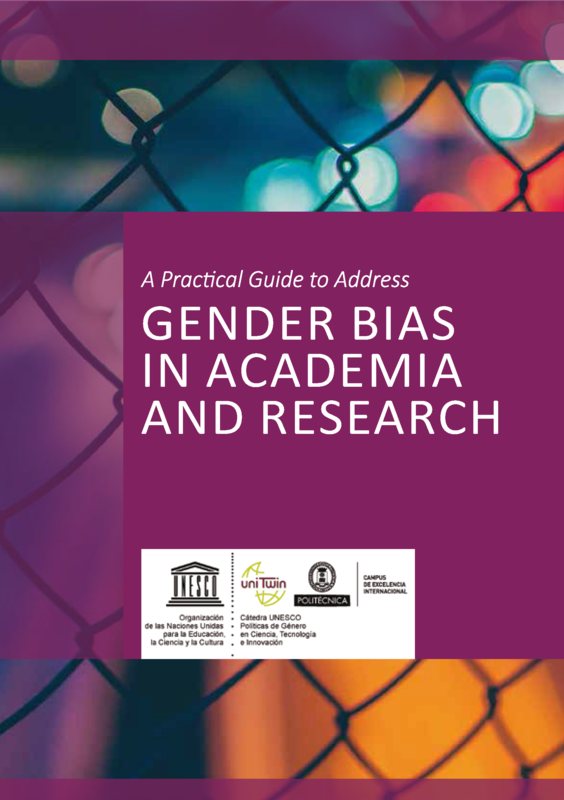 Structural change in STEM institutions contributes to gender equality in research academia and other professional sectors. It makes research and innovation more responsive to current societal needs and challenges. There is growing evidence that gender is a significant dimension in the energy sector and in both the consumption causes and impacts of climate change. Gender perspectives in climate change lead to new approaches in research, practice, policy and industrial processes. Gender is indispensable to better address people’s awareness for environmental conservation and responses to climate change, to develop new mobility strategies, and to find successful and transformative alternatives to current energy and consumption patterns, among other global challenges. Gender in climate change also contributes to better understandings of environmental aspects of the interlinkages between the Global South and the Global North. Women and men have different needs and approaches towards technology, its products and services. Also physical needs and life patterns can differ between men and women, having an impact on the technology and innovation sector. Gender knowledge has become a prerequisite for excellence in innovation and business as women’s needs and preferences are recognized in their specificity. 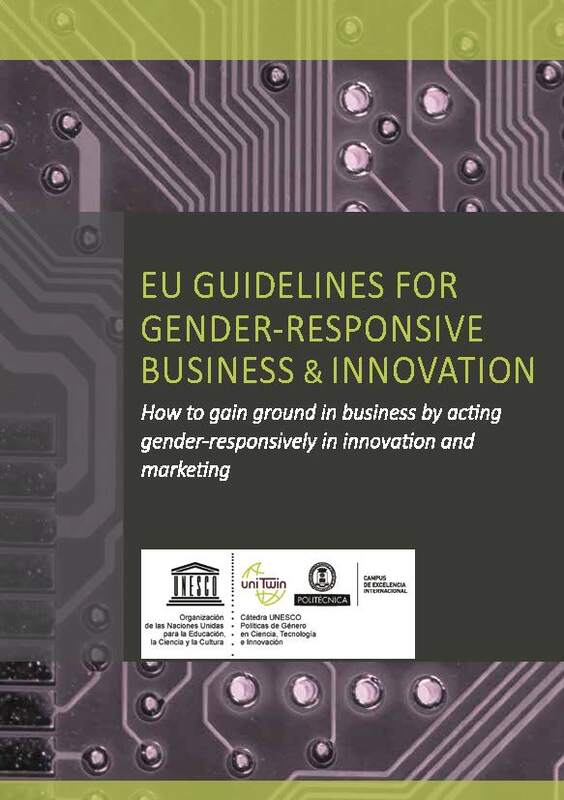 The introduction of gender perspectives in innovation processes and the increasing participation of women in industrial and engineering sectors can lead to new research and market opportunities. It will also contribute to extend the benefits of innovation to a wider range of users. 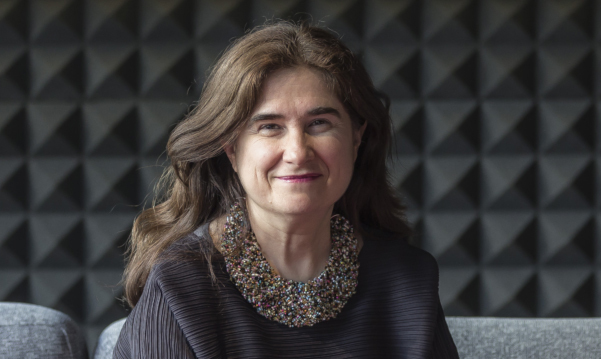 Inés Sánchez de Madariaga, is Professor of Urban Planning and UNESCO Chair on Gender at Universidad Politécnica de Madrid. She is a member of the Leadership Advisory Council of the Spanish UN-Sustainable Solutions Development Network, member the Advisory Group on Gender Issues to the Executive Director UN-Habitat, and co-Chair of the General Assembly of Partners Research Group of the New Urban Agenda. She has been Chair of the international COST network Gender, Science, Technology and Environment, genderSTE; co-Director of the EU-US Gendered Innovations Project, member of the European Commission Helsinki Group on Gender in Research, and Chair of EC Expert Group Structural Change of Research Organizations. She is/has been PI and member of the Scientific Advisory Committees of the European projects GE-Academy, Genport, Genovate, RRITools, Libra, GenderAction, Sagerip, GEDII, RRING, Gender-Net and TRIGGER. She is an EC UrbAct lead expert and a member of the Scientific Committee of the UNESCO project SAGA. Inés has been visiting professor at Columbia University in NYC, London School of Economics, and School of Architecture-Bauhaus. 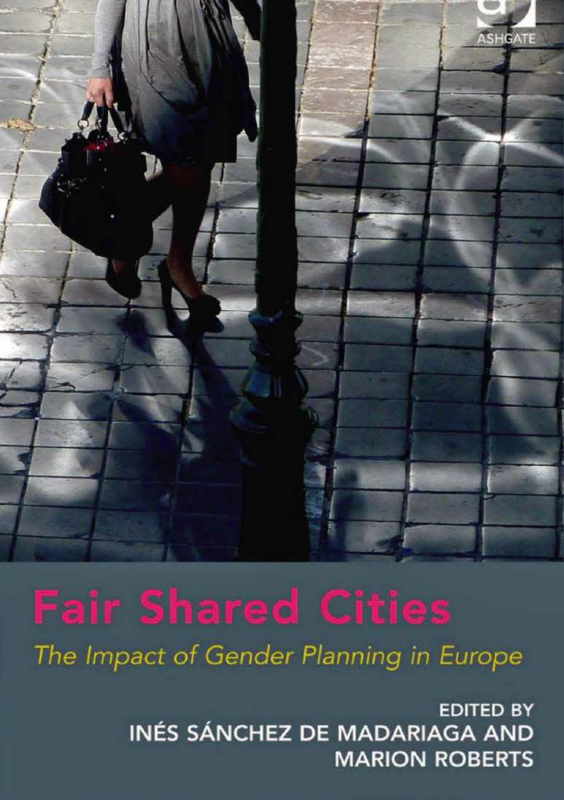 She is author of a dozen of books and around a hundred papers in professional journals, among which the reference book Fair Shared Cities: the Impact of Gender Planning in Europe, Ashgate 2013. She has held public office as Advisor to the Minister of Housing, Advisor to the Minister of Science and Innovation, Director of the Women and Science Unit at the Secretary of State for RTD, and Deputy Director General for Architecture. She is first President, Association of Women Architects of Spain. Inés Novella Abril holds a Master in Architecture and a Master in Equal Opportunities. She is a researcher, project manager at the Department of Urban Planning of the Technical University of Madrid and a member of the UNESCO Chair on Gender Equality Policies in Science, Technology and Innovation. Her research focuses on gender-sensitive architecture and urban planning, and on structural change and gender policies in STEM institutions. 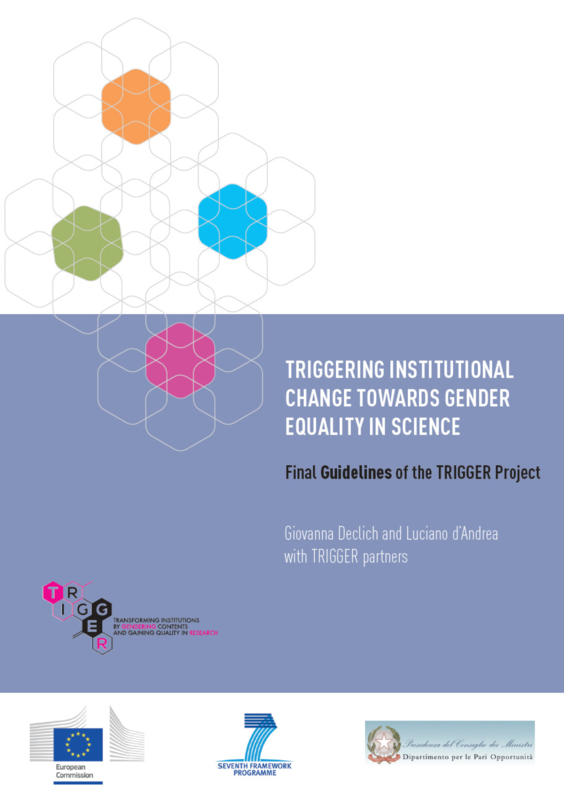 Inés has participated in different European projects on gender equality and responsible research and innovation (RRI) in S&T institutions (genderSTE, TRIGGER, RRING, GE-Academy). She has been visitor researcher and guest lecturer at different Spanish and European universities. 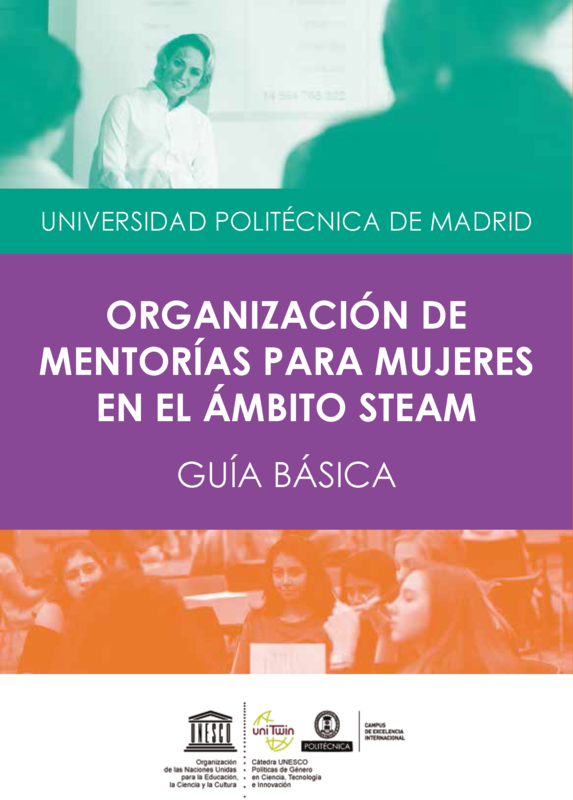 Inés has been in charge of a number of training courses on gender equality in STEM fields targeting professionals, researchers and managers from both public and private institutions. She is the Western Europe Area Editor of the Bloomsbury Global Encyclopedia of Women in Architecture, to be published in 2021. Her participatory action research with women on safety in public space was selected for the Spanish Pavilion in the 2018 Edition of the Venice Biennale of Architecture. Sonia de Gregorio Hurtado. Arch., PhD with European Mention. Sonia is lecturer and researcher at the Department of Urban and Spatial Planning, School of Architecture, Universidad Politécnica de Madrid –UPM-. 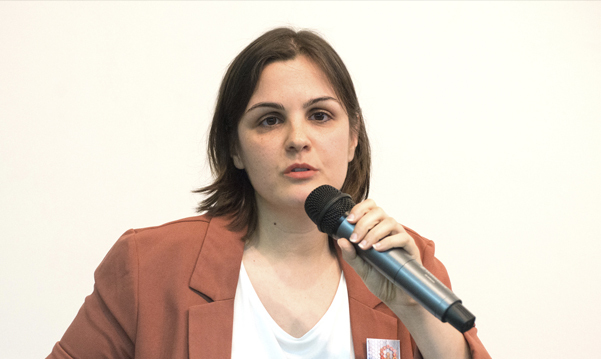 She was previously a researcher at CEDEX (Spanish Ministry of Public Works) and visitor researcher at the European Institute for Urban Affairs in the UK, the BOKU in Vienna, and the University of Trento. She has also developed a professional activity as an architectural and planning practitioner designing masterplans in several European, North African, Asian and Central American cities. Recently she has been nominated external expert for the Action Plan of the Urban Poverty and Urban Regeneration Partnership of the Urban Agenda for the European Union. She has been Principal Investigator of the IDB funded research project Gender Opportunities and Climate Change in Latin American and The Caribbean.